Warner Bros. Television kicks off New York Comic Con (NYCC) on Wednesday, October 3, with the world premiere screening of the live-action dramatic adventure series Titans, which launches October 12 as the first original series for the new DC UNIVERSE digital subscription service. The exclusive debut screening will be followed by a Q&A session with series stars and executive producers, who will shed further light on the highly-anticipated first season. The star and producer sessions continue on Saturday, October 6, when the next generation of supernatural beings at The Salvatore School for the Young and Gifted takes fans inside Legacies, the thrilling next chapter in The Vampire Diaries/The Originals trilogy. The back-to-back Saturday panels will also feature the world premiere pilot screening of Roswell, New Mexico, followed by the action-packed season four premiere of Blindspot and a special video presentation of The 100. Fans will also get an inside look at the new series Manifest. 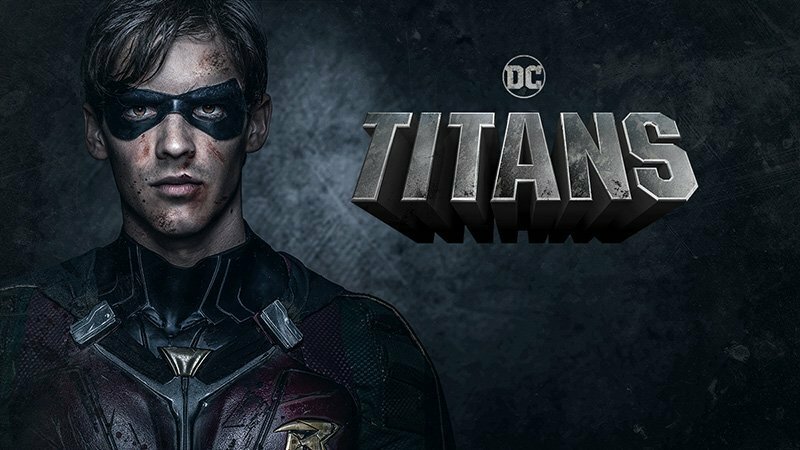 RELATED: Comic-Con: The First Titans Trailer is Here! The excitement continues Sunday, October 7, with Archie and the gang, who will give fans a sneak peek at season three of Riverdale followed by a Q&A with series stars and producers. Gotham will also return for its final appearance at New York Comic Con as fans celebrate its fifth and final season during a special video presentation and Q&A with series stars and producers. 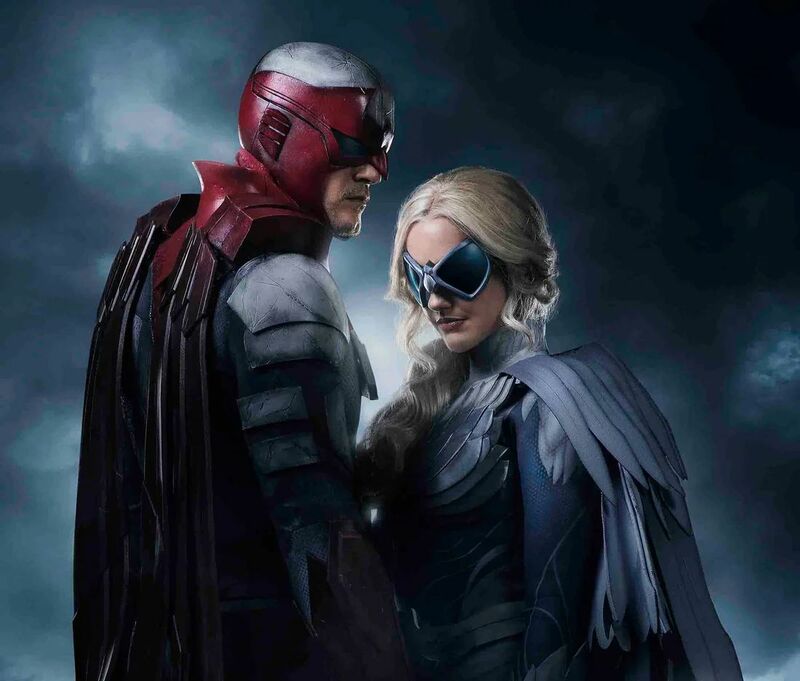 From Weed Road Pictures and Berlanti Productions in association with Warner Bros. Television, Titans is one of the all-new exclusive original live-action series coming soon to DC UNIVERSE. The series debuts Friday, October 12, which new episodes released weekly. 10:30–11:30 a.m. Legacies World Premiere Pilot Screening and Q&A –– A thrilling new drama that tells the story of the next generation of supernatural beings at The Salvatore School for the Young and Gifted, Legacies follows 17-year-old Hope Mikaelson and others who come of age in the most unconventional way possible, nurtured to be their best selves…in spite of their worst impulses…all under the watchful eye of headmaster Alaric Saltzman. Join Legacies stars Danielle Rose Russell, Matt Davis, Jenny Boyd, Kaylee Bryant, Quincy Fouse, Aria Shahghasemi and Peyton Alex Smith, and executive producers Julie Plec and Brett Matthews for the world premiere pilot screening, exclusively for New York Comic Con, of the next chapter in The Vampire Diaries/The Originals trilogy. Legacies premieres October 25 and airs Thursdays at 9/8c on The CW. 11:30 a.m.–12:30 p.m. Roswell, New Mexico World Premiere Pilot Screening and Q&A –– Based on the Roswell High book series, Roswell, New Mexico is a love story, a relationship drama and the story of a small town…which happens to have aliens. Roswell, New Mexico stars Jeanine Mason (Grey’s Anatomy, Bunheads, So You Think You Can Dance) and Nathan Parsons (The Originals, True Blood, Once Upon a Time, Bunheads). Join us for Roswell, New Mexico’s first appearance at New York Comic Con for the world premiere pilot screening presentation and a Q&A with the actors and executive producers. Roswell, New Mexico premieres in 2018 on The CW. 4:45–5:40 p.m. Blindspot Season Four Premiere Screening and Q&A — Following the action-packed, emotionally charged cliffhangers that ended season three, Blindspot returns for its third appearance at New York Comic Con! Sullivan Stapleton and Jaimie Alexander star in this one-hour action thriller from Berlanti Productions and Quinn’s House, Inc. in association with Warner Bros. Television. As we learned in last season’s finale, Jane (Jaimie Alexander) is being poisoned by ZIP, the very drug used to wipe her memory at the premiere of the series. Also suffering from the disease, her brother Roman (Luke Mitchell) was searching for a cure and hid caches of data all over the globe. The team will follow a trail of cryptic breadcrumbs that lead to all-new crimes to solve and, with any luck, a cure to save Jane. Season four begins with Weller (Stapleton) on the brink of death, Remi returned from the depths of Jane’s mind and Zapata (Audrey Esparza) working with the bad guys. Not knowing that Zapata has joined the villainous HCI Global, Reade (Rob Brown) tries desperately to find her. At the same time, Patterson (Ashley Johnson) hunts to cure Jane with her lab partner, fan-favorite Rich DotCom (Ennis Esmer). Embracing the global scope established last season, we smash into season four with a daring heist in Tokyo, and exhilarating and emotional missions will take the team all over Europe and South America. Join us for an exclusive screening of the season four premiere followed by a Q&A with series stars Jaimie Alexander and Sullivan Stapleton. Blindspot returns for its fourth season on October 12, airing Fridays at 8/7c on NBC. Blindspot: The Complete Third Season is available now on Digital, Blu-ray and DVD. 5:40–6:05 p.m. Manifest Special Video Presentation and Q&A –– When Montego Air Flight 828 landed safely in New York after a turbulent but routine flight, the crew and passengers were relieved. Yet in the span of those few hours, the world had aged five years and their friends, families and colleagues, after mourning their loss, had given up hope and moved on. Now, faced with the impossible, they’re all given a second chance. But as their new realities become clear, a deeper mystery unfolds and some of the returned passengers soon realize they may be meant for something greater than they ever thought possible. From executive producers Jeff Rake (The Mysteries of Laura, The Tomorrow People, Boston Legal), Robert Zemeckis (Forrest Gump, Back to the Future movies, Cast Away), Jack Rapke (Cast Away, The Polar Express, What Lies Beneath) and Jackie Levine (Flight, Real Steel, Allied) comes an emotionally rich, unexpected journey into a world grounded in hope, heart and destiny. Join series stars Melissa Roxburgh (Valor) and Josh Dallas (Once Upon a Time), along with executive producer Jeff Rake, as they share series highlights and a special sneak peek at some exclusive new footage and delve even further into the mystery of Flight 828. Manifest airs Monday nights at 10/9c on NBC and is produced by Compari Entertainment in association with Warner Bros. Television and Universal Television. 6:05–6:30 p.m. The 100 Special Video Presentation and Q&A — After the heartbreaking season five finale, Clarke and Bellamy are left wondering if this new planet is suitable for life, and if the human race can finally live in peace? What will they find on this new mysterious home, and how will the rest of the survivors react to the news that they’ve been asleep for more than 100 years? And what happened to Eligius III? Join us for a special video presentation followed by a Q&A with series stars Eliza Taylor, Bob Morley and executive producer Jason Rothenberg as they answer your burning questions. From Bonanza Productions Inc. in association with Alloy Entertainment and Warner Bros. Television, The 100 returns for season six in midseason on The CW. The 100: The Complete Fifth Season is available now on Digital and on Blu-ray, and DVD on October 9. 10:00–11:00 a.m. Riverdale Exclusive Sneak Peek and Q&A –– Following yet another drama-filled season and shocking season two finale, don’t miss Riverdale when it makes its debut at New York Comic Con this year! Join Archie and the gang as they continue to dive into the secrets that loom and keep emerging from the shadows in a town that once seemed like a quiet, ordinary place. The circumstances surrounding Archie’s arrest kick off the drama of season three as the gang tries to #FreeArchie, while Hiram Lodge continues to flesh out his plans to control not only Riverdale, but also the ever-growing SoDale. Based on the characters from Archie Comics and produced by Berlanti Productions (The Flash, Supergirl, Blindspot, Arrow) in association with Warner Bros. Television, this one-hour drama is a bold, subversive take on the surreality of small-town life. Join us for an exclusive sneak peek at season three followed by a Q&A with series stars KJ Apa, Lili Reinhart, Luke Perry, Mädchen Amick and executive producers Roberto Aguirre-Sacasa and Jon Goldwater. Riverdale returns for season three October 10, airing Wednesdays at 8/7c on The CW. Riverdale: The Complete Second Season is available now on Blu-ray™, DVD and Digital. 11:00 a.m.–12:00 p.m. Gotham Special Video Presentation and Q&A — Join Gotham as the show returns to New York Comic Con for its final appearance. With Gotham on the brink of total anarchy and cut off from the outside world, only Jim Gordon, Bruce Wayne and a handful of heroes remain behind to retake the city. Inspired by the “No Man’s Land” arc from the comics, villains including Penguin, the Riddler, the Sirens and Jeremiah have taken claim on various regions of the city. Will order be restored, or will chaos reign in Gotham? Be among the first to hear what’s in store for the final chapter of Gotham as the show returns to New York Comic Con for a special video presentation, followed by a Q&A with series stars and producers. From Warner Bros. Television, Gotham returns for its fifth and final season midseason on FOX, and Gotham: The Complete Fourth Season is available now on Digital, Blu-ray and DVD.